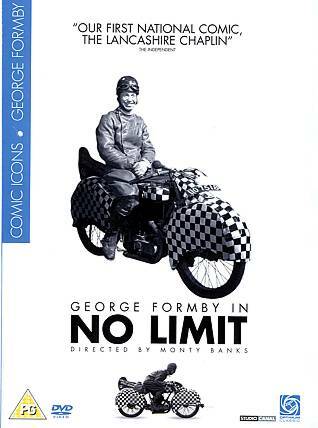 This classic black & white movie was filmed at the 1935 Isle of Man TT races. George Shuttleworth (singer/actor George Formby in his first major studio success for Associated Talking Pictures) is convinced that he has the talent to win the Isle of Man TT. During the trials, the brakes go on George’s bike, ‘The Shuttleworth Snap’, which he made himself. As a result he breaks the TT lap record, becoming an instant motorcycling star. As the big race approaches, George realises that other jealous riders will stop at nothing to make sure he does not take part in the race.